Eggs are synonymous with Easter and symbolic for their association with fertility and springtime. 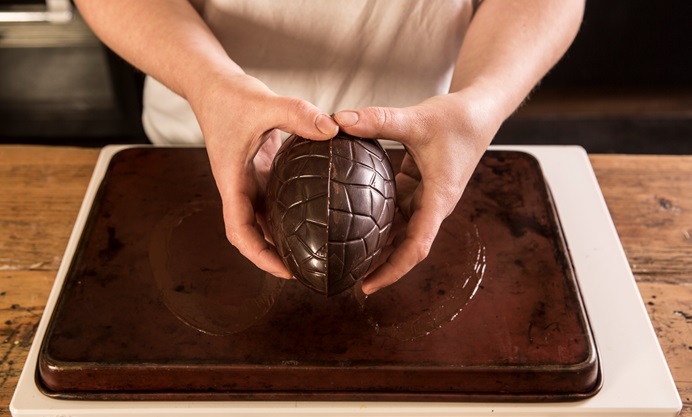 Chocolate Easter eggs started to appear in the late 19th century, pioneered by Cadbury in 1875. 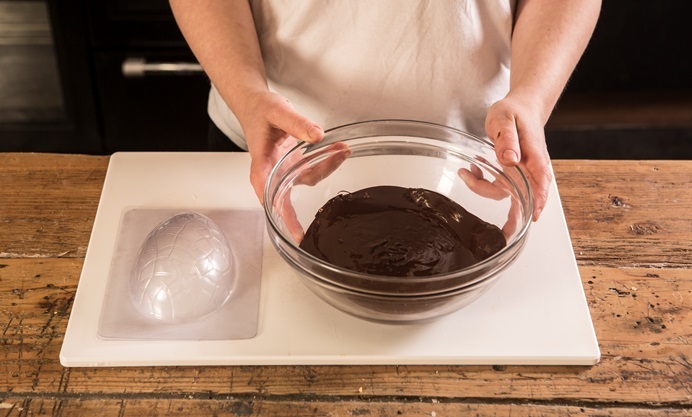 Making your own eggs gives your Easter gifts a personal touch and they’re fun to put together. To get a really shiny finish, it is necessary to temper the chocolate. This is the process of gently heating and cooling in order to align the sugar crystals. 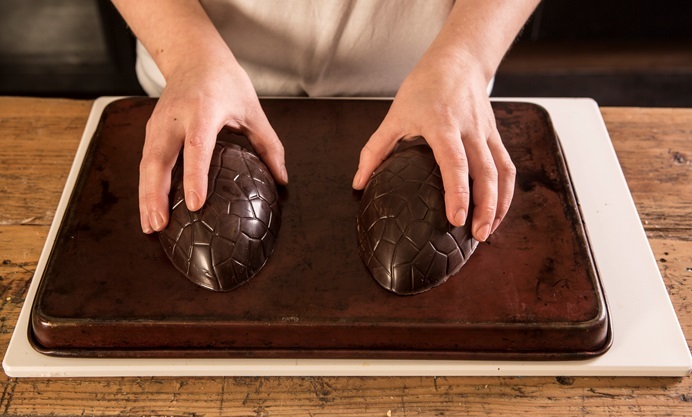 You will need a thermometer to do this; however, if you would prefer to not temper the chocolate you will still end up with a perfectly edible egg – you’ll just need to be a little more creative with the decoration as the chocolate will have a mottled effect. It is also important to use the best quality chocolate you can buy; 70% cocoa or above. For extra shine, polish the egg moulds with cotton wool before using. 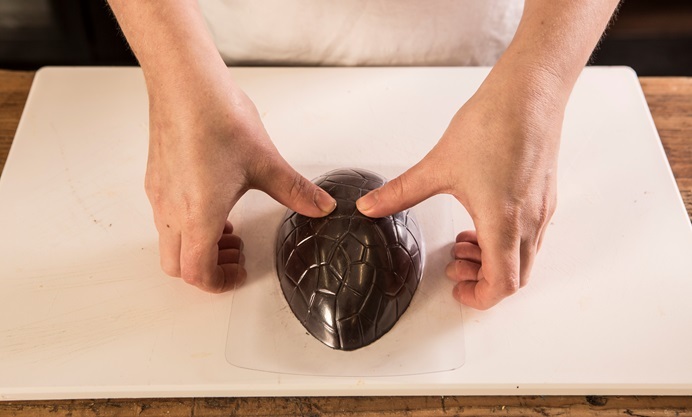 Wipe around the edges of the mould before the chocolate sets to get a perfect set. 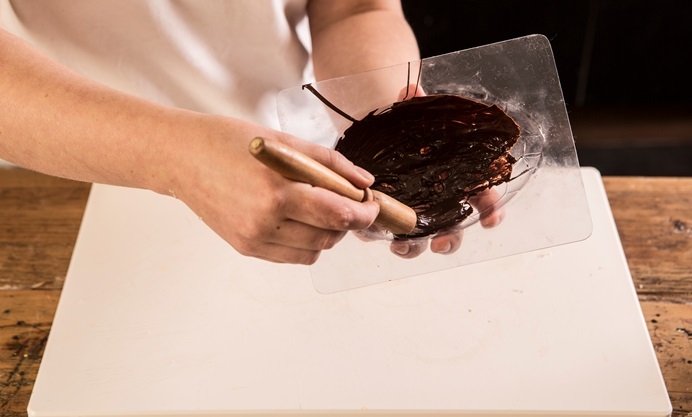 Work quickly with the chocolate – if it gets too cool it will need to be re-tempered. 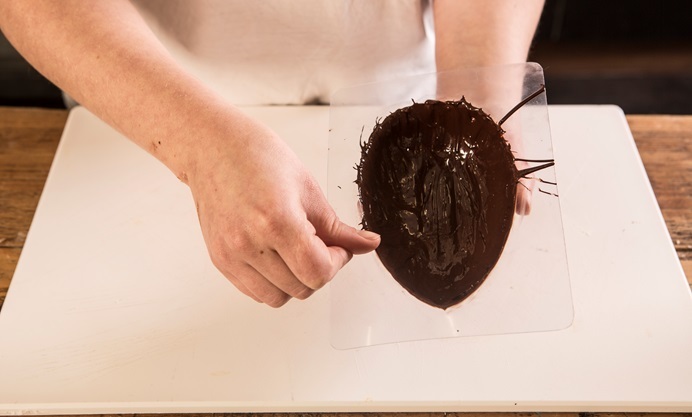 Add an element of surprise by hiding chocolate truffles inside the egg. 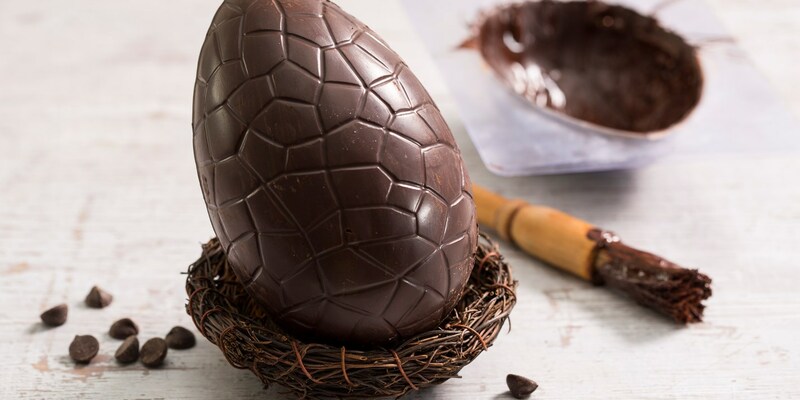 Once you've made your own egg take a look at our tips on how to decorate an Easter egg.